Is Kearny Financial (KRNY) A Good Stock To Buy? Kearny Financial Corp. (NASDAQ:KRNY) shareholders have witnessed a decrease in activity from the world’s largest hedge funds recently. 18 hedge funds that we track were long the stock on September 30. There were 19 hedge funds in our database with KRNY positions at the end of the previous quarter. The level and the change in hedge fund popularity aren’t the only variables you need to analyze to decipher hedge funds’ perspectives. A stock may witness a boost in popularity but it may still be less popular than similarly priced stocks. That’s why at the end of this article we will examine companies such as Acorda Therapeutics Inc (NASDAQ:ACOR), Aerojet Rocketdyne Holdings Inc (NYSE:AJRD), and Amerisafe, Inc. (NASDAQ:AMSF) to gather more data points. How have hedgies been trading Kearny Financial Corp. (NASDAQ:KRNY)? At the end of the third quarter, a total of 18 of the hedge funds tracked by Insider Monkey held long positions in this stock, a decline of 5% from the previous quarter, as hedge fund ownership continues to trend down. 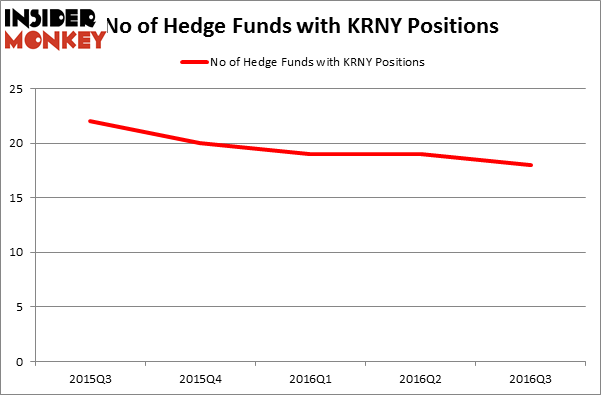 The graph below displays the number of hedge funds with bullish position in KRNY over the last 5 quarters. So, let’s see which hedge funds were among the top holders of the stock and which hedge funds were making big moves. According to publicly available hedge fund and institutional investor holdings data compiled by Insider Monkey, Jim Simons’ Renaissance Technologies has the most valuable position in Kearny Financial Corp. (NASDAQ:KRNY), worth close to $39.5 million. Sitting at the No. 2 spot is Michael A. Price and Amos Meron’s Empyrean Capital Partners holding a $26.5 million position; the fund has 1.3% of its 13F portfolio invested in the stock. 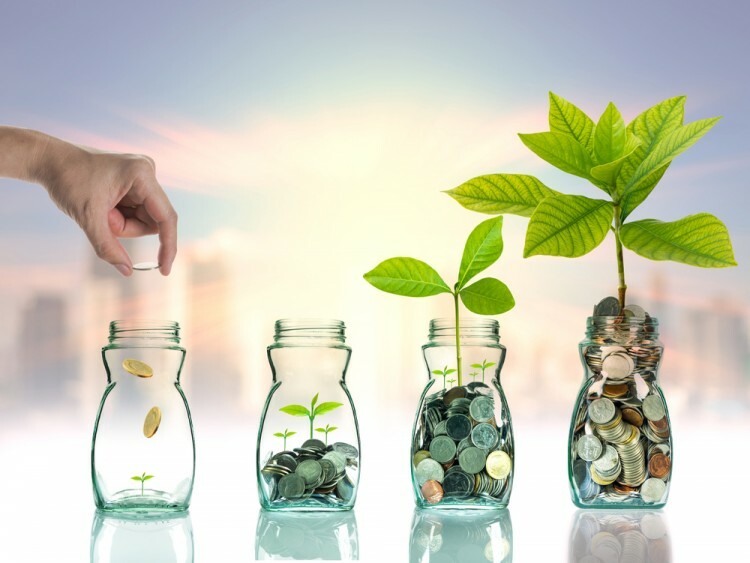 Some other peers with similar optimism consist of Michael Price’s MFP Investors, Lawrence Seidman’s Seidman Investment Partnership, and Tim Mullen’s Swift Run Capital Management. We should note that MFP Investors is among our list of the 100 best performing hedge funds which is based on the performance of their 13F long positions in non-microcap stocks. Infosys Ltd ADR (INFY): Are Hedge Funds Right About This Stock? Has Hedge Fund Ownership in Welltower Inc. (HCN) Finally Bottomed Out? Biotech Movers: Heat Biologics Inc (HTBX) And Achaogen Inc (AKAO) Should You Buy BJ’s Restaurants, Inc. (BJRI)? How Big Lots, Inc. (BIG) Stacks Up To Its Peers Is WebMD Health Corp. (WBMD) A Good Stock To Buy?